A traveling exhibition invites visitors to walk in the shoes of refugees. 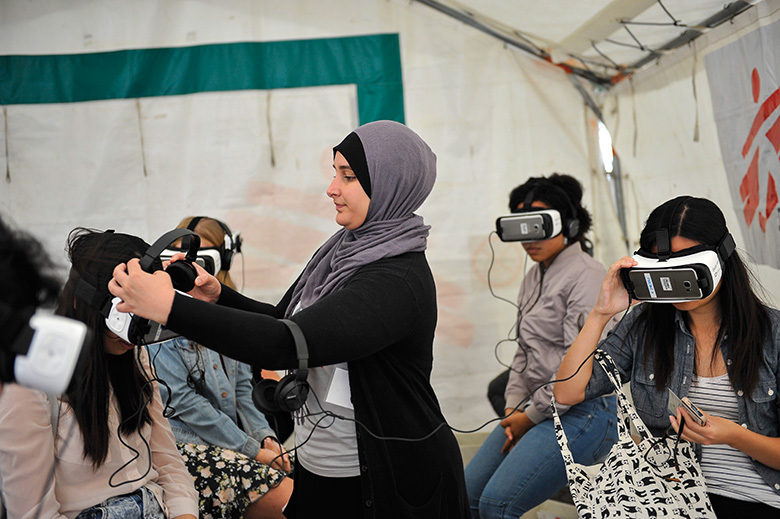 Virtual reality helps simulate the refugee experience. It’s hard for most of us to imagine the reality faced by the world’s estimated 65 million refugees: stay put in a war- or famine-ravaged home country, or flee to an unknown future with only a few possessions? That’s the point of Forced from Home, a 10,000-square-foot traveling outdoor exhibit that lands in Seattle on Monday. Organized by Doctors Without Borders/Médecins Sans Frontières (MSF), the international health organization working in countries such as South Sudan, Syria and Afghanistan, the event is designed to promote “a more nuanced understanding of the refugee crisis,” according to MSF communications director Michael Goldfarb. 10/2–10/8. 9 a.m.–5 p.m. Free.